In 2001 West House published a new edition of David Kennedy's homage to Joseph Cornell, 'Cornell: A Circuition around his Circumambulation'. 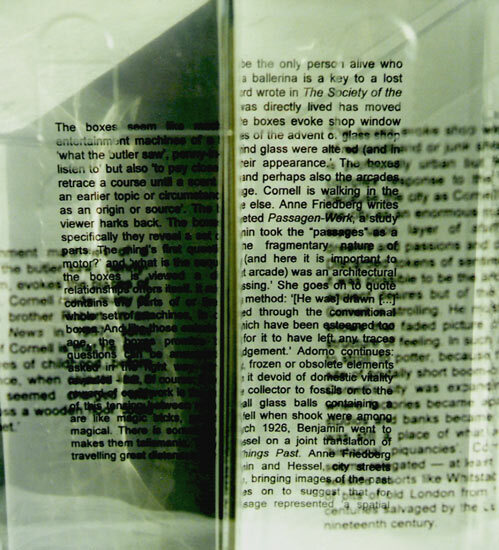 After the book had been printed I transferred the typesetting to transparencies which I installed in the inner compartments of an acetate box which had been sales packaging for four wine glasses. I gave this book-object, the actual 'circumacetation', to David; the version shown here comprises treated photos of the box.